The terrorist attacks on the twin towers of the World Trade Center on September 11th, 2001 have had a profound impact on contemporary American literature and culture. 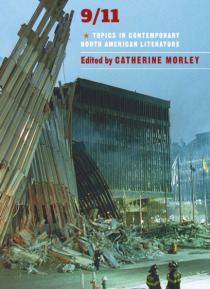 With chapters written by leading scholars, 9/11: Topics in Contemporary North American Literature is a wide-ranging guide to literary responses to the attacks and its aftermath. The book covers the most widely studied texts, from Don… DeLillo's Falling Man, Jonathan Safran Foer's Extremely Loud and Incredibly Close and Jonathan Franzen's Freedom to responses in contemporary American poetry and graphic narratives such as Art Spiegelman's In the Shadow of No Towers.Including annotated guides to further reading, this is an essential guide for students and readers of contemporary American literature.